The Dallas and Fort Worth area is one of the fastest-growing and most vibrant regions of the Lone Star State, and Allen is very much a part of that story. Allen boasts unique destinations for tourists looking for relaxing activities and places to have fun with the entire family. Upscale shopping centers and a diverse range of arts and culture venues are just some of the attractions in Allen. Continue reading to discover what Allen has to offer. Beat the heat by getting out on the ice at the Allen Community Ice Rink. 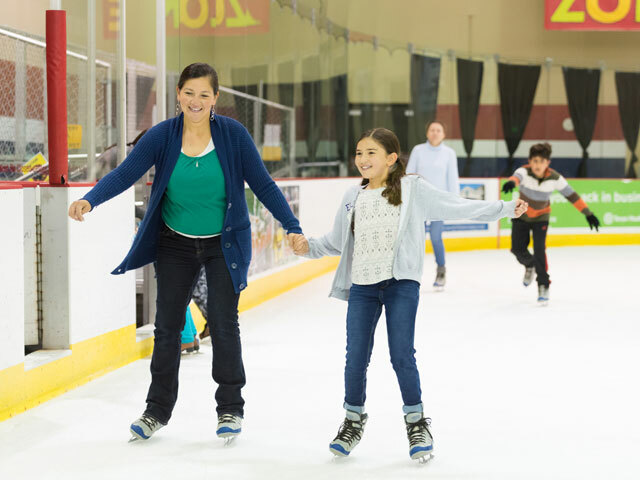 Open skate hours are held almost every day of the week, and the rink features a skate academy for beginners, skate sharpening, skate and party rentals, and a large spectator area. Many of the Allen’s most exciting events go down right here in this 6,275-seat arena. The center is home to three sports teams: the minor-league hockey team Allen Americans, indoor footballers Texas Revolution, and indoor soccer club Dallas Sidekicks. Along with the home games, the center hosts basketball tournaments, monster truck racing events, and live concerts. Allen Heritage Village is a park featuring several of Allen's oldest remaining homes and the historic St. Mary Baptist Church. It serves as a place for visitors and locals to appreciate the history and antiquities of the area from nearly a century ago. Looking for a bargain? Head to this Allen outlet mall for deals on designer goods from Michael Kors, Ralph Lauren, Kate Spade, and more. Parking spots are hardest to find on the weekends, so go during the week if you can and you might just catch a special mid-week sale while you’re there. Hunters and anglers know the brand, and fans of really cool stores know the name. The 100,000-square-foot Cabela’s in Allen features such eye-catching decor as five elevated wildlife dioramas, local lunker bass in the 13,000-gallon aquarium, a stuffed bear and other exotic taxidermy, and a two-story conservation mountain. There’s also a cafe and a fudge-and-nut shop, as well as outdoor kennels where your dog can hang out while you shop. One of Allen’s favorite, free-family-fun spots is Celebration Park on Angel Parkway. Its 104 acres include sports fields and courts, hike and bike trails, a covered pavilion, and the refreshing “sprayground” known as kidMania. Needing a boat to go wakeboarding is so 20th-century. Hydrous Wake Park is one of only a handful of cable wakeboarding parks in the United States, providing a way to shred waves while being pulled by overhead cables. Multiple beginner training lakes and a centrally located tap house make Hydrous a top attraction for families. It’s not easy to find golf courses that will let you play just nine holes these days. At Watters Creek, not only is there a nine-hole course (on the par-30 Player’s Course), but there’s even a six! Holes on the truncated Futures Course top out at 120 yards for beginners and short-game players, while the newly redesigned Traditions Course provides 18 holes of challenging championship golf. Carve, ollie, and grind at Allen’s home for extreme sports. The enormous skate park boasts street fixtures, bowls, steel coping, and ledges across its 37,915-square-foot facility. In addition, there’s a BMX track, hockey rinks, and special events like lock-ins at the visitor’s center. On a warm summer day you can take a break from shopping at the more than 100 retailers housed inside The Village to romp through the dog park with your pet or explore the hedge maze with the kids. During the winter, warm up next to the outdoor fireplace at the Grotto. The terrific artwork by local artists placed throughout the area can be enjoyed all year long. Drive the ball as far as you can or show off your short-game skills at Topgolf in Allen. 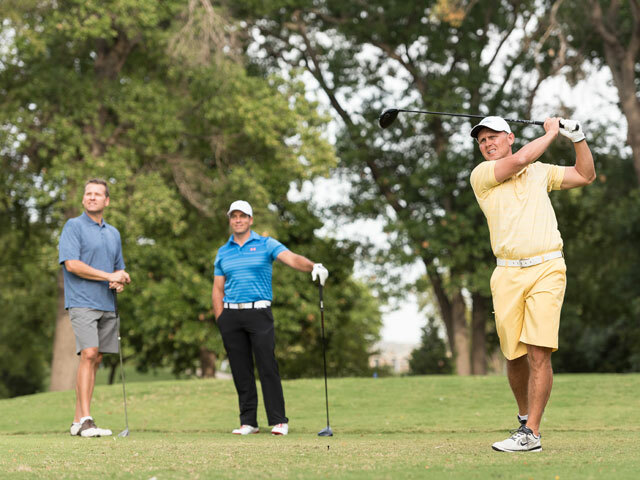 This exciting entertainment center serves up food and drinks, live music, and a handful of innovative high-tech driving range games that everyone from the most seasoned players to those who have never held a club will enjoy. Watters Creek is an outdoor shopping and dining destination with a luxurious flair. Local and national boutique stores and more than a dozen excellent restaurants are paired with the lovely natural features such as a duck pond, flowing creek, and large green space where you can stop and smell the roses.